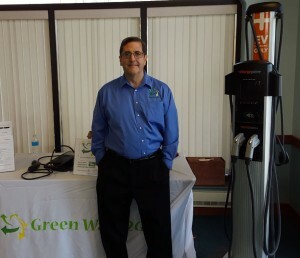 The Southern Shores Clean Cities, Inc. organization hosted an EV seminar at the Hammond Port Authority on October 21, 2015. 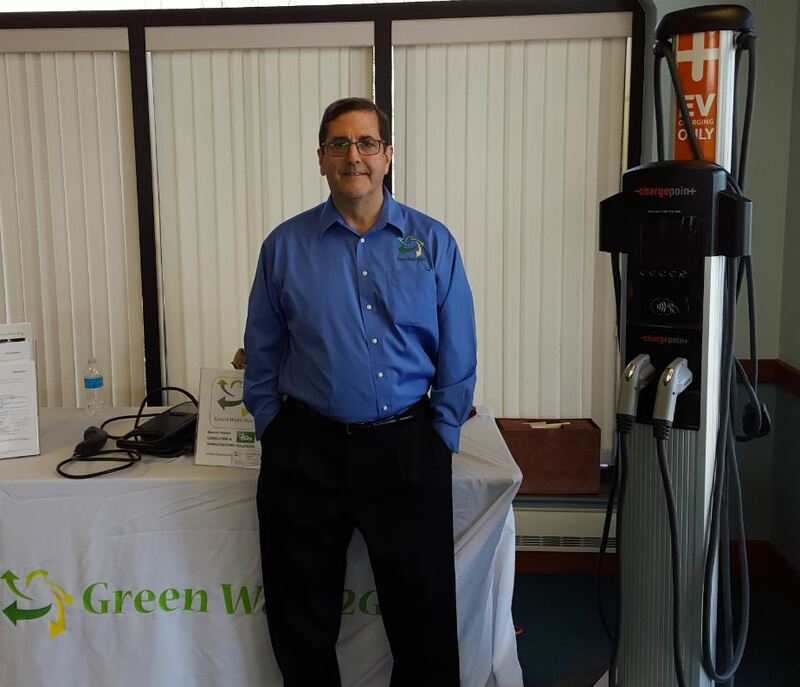 Green Ways 2Go was represented by Tim Milburn who displayed the ChargePoint CT4000 range of dual charging station for commercial application. There were many attendants who showed great interest in the ChargePoint charger which can be considered the only viable cell phone connected commercial station available for the US market. Hammond Port Authority already makes EV charging free at their site. As can be see in the photograph several of the attendants took advantage of fueling their vehicles with electrons for free! !